After graduating from the Faculty of Political Science at Keio University, Tokyo in 1991, Keisuke worked at the Planning Section of the Head Office of Japan Airlines for 12 years, covering business projects, new IT projects, corporate sales policy, revenue management, budget, and national and worldwide sales promotion in the fields of international and domestic passenger sales. Between 1999 and 2002, Keisuke worked in JAL’s regional office in Italy. 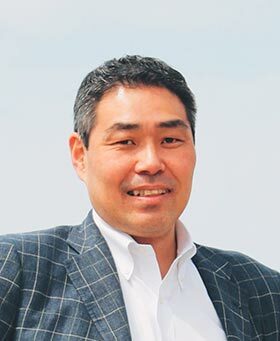 In 2008, Keisuke joined Spazio Incontco Co., Ltd. as a Director. The company, based in Tokyo, works with niche Italian businesses to import into Japan super premium cars, fine wines, cheese, furniture, and other luxury Italian products. It is also involved in the export of outstanding examples of Japanese cultural products, including porcelain, lacquerware, textiles, food, and regional specialties. Keisuke is a cognoscente of premium sake produced in small batches through his extensive network of more than sake 400 brewers and breweries and his work supporting the Sake Samurai Association, the junior council of the Japan Sake Brewers Association charged with the international promotion of sake.